The history of martial arts in essence has been passed down by word of mouth as very little was written down until recent times. Fighting styles, however, have existed since the beginning of time and developed concurrently in many different regions all around the world. When we seek to understand the evolution of Hapkido or Jujitsu, let's begin on the history in Korea and we will progress to the evolution of martial arts around the world. The first Korean city is thought to be that of Gojoseon founded around 2300BC, this is known as the Dangun period. After a long history of tribal wars and conflicts with the Chinese, three powerful kingdoms emerged - Koguryo, Silla and Paekche. This was the beginning of the Samguk period (Three Kingdoms Period 18BC - 668AD). During this period Korean economy, architecture, literature and arts flourished. Chinese influences were reinterpreted in a distinctive Korean manner. Buddhism became the State religion of all three kingdoms and was eventually transmitted to Japan by way of the Paekche kingdom during the sixth century. Increasing contact between the cultures of Korea, Japan and China not only influenced their societies but their native martial arts as well. As warriors met in combat, the evolution of new and superior techniques occurred. Evidence of native empty-hand Korean martial arts first emerged during the Three Kingdoms Period. Paintings and statues of warriors displaying fighting techniques are found throughout the royal tombs of Koguryo. The term "Su Bak" was used to describe empty handed striking techniques. 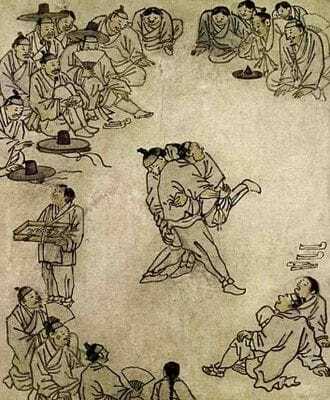 Ssirum was a system of wrestling and grappling (pictured) which still exists today as a Korean national sport and shares a similarity to Japanese Sumo wrestling. King Jin Heung came to power in Silla in 540AD and called upon a Buddhist Priest, Won Kwang Bopsa to teach the martial arts to his noblemen. Won Kwang Bopsa developed a system of martial arts based on harmony with the laws of nature and a concept to unify the opposites embodied in the Yin Yang (day & night, anger & happiness, up & down, hard & soft, linear & circular). King Jin Heung's nobles were taught these martial arts along with the Buddhist faith to become warrior-intellectuals known as the Hwarang Warriors (Knights of the Flower). They lived by the warrior code as true martial artists for their dedication to duty and self-sacrifice resting on a goal greater than themselves. Their superb war effort defeated Koguryo and Paekche, unifying Korea in 668 and ending the Three Kingdoms Period. The Silla Kingdom grew to become the longest sustaining dynasty in Asian history (992 years). The Hwarang were also famous for their weapon systems in Gum (sword), Kal (knife), Jang Bong (long stick), Dan Bong (short stick), Sang Jul Bong (nunchaku), Chang (spear), Bu Chae (fan), Ji Pangee (cane) and the Gung Si (bow and arrow). The Korean sword art of Gumdo (way of the sword) is still very popular today, whilst other weapons have been integrated into various martial art systems including modern day Hapkido. After the fall of the Silla kingdom, Su Bak was split into more refined technical areas. Around 1100AD, the term Yu Sul (soft art) emerged as a name for soft style techniques such as those taught by Won Kwang Bopsa. It is said to have been described by throws, grappling, locks and attacks to vital points. The word "Yu Sul" is interpreted as "Jiu Jitsu" in Japanese. Sometime after 1400AD more refined empty-hand fighting systems evolved such as Kwon Bop which emerged and an umbrella term for hand striking techniques, Taekkyon was a system emphasising kicks. Both these ancient styles along with some others influenced modern day Tang Soo Do (way of the hand) born around 1947 and Tae Kwon Do (way of the hand and foot) born in 1955. Taekkyon still exists today with a dance like appearance. It was modified as a folk dance during Japanese occupation in World War II as the Japanese wanted to outlaw all Korean martial arts, the locals continued to practice it as a dance, hiding it's devastating form. This shares a similar heritage to native Brazilian Capoeira. Today, Taekkyon is considered a Korean national treasure as the nation's longest preserved martial art, pictured are GIANT Instructors Giorgio & Anthony Repice and students at the national Taekkyon HQ in 2008. In 1790, King Jeong Jo of Korea commissioned a book called the Muye Dobo Tongji which is an illustrated manual of native Korean martial arts. It describes in detail kicking, punching, grappling and weapon fighting techniques. It was published in four volumes written in the original Chinese characters and a fifth volume in Korean script, Hangul. It is one of the only surviving written materials depicting the existence of native Korean martial arts. This evolution process as occurred in Korea is common to the evolution process of modern martial arts in many other countries throughout the world. Today in Korea the most popular martial arts that have evolved are Taekkyon, Ssirum, Gumdo, Tang Soo Do, Tae Kwon Do, Hap Ki Do, Kuk Sool Won, Hwarang Do, Han Ki Do, Han Mudo, Tukong Musul, Kyuk Too Ki, DanTa and Gongkwon Yusul. In China evolved Kung Fu (Chinese Martial Arts) systems of Wing Chun, Wushu, Shaolin, Animal Styles (Dragon, Crane, Eagle, Praying Mantis, Drunken Monkey & Tiger), Bagua, Hung Ga, Jow Ga, San Shou and Tai Chi. Japan evolved the arts of Judo, Aikido, Jujitsu, Iaido, Kendo, Shooto, Ninjutsu, Kenpo, Karate, Kudo and Sumo. India developed one of the oldest known martial arts systems named Kalaripayattu and the popular internal art of Yoga. Throughout South East Asia, the development of martial arts such as Silat from Indonesia, Eskrima, Kalis Ilustrisimo, Sagasa Kickboxing and Arnis derived from the Philippines, Viet Vo Dao and Vivonam from Vietnam, Lethwei from Burma, Muay Lao from Laos and Muay Thai from Thailand. In Europe and throughout the western world martial arts dates back to the ancient Egyptians and Greeks. 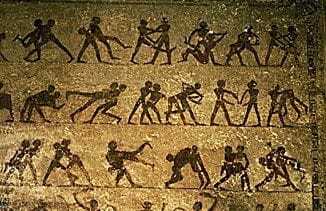 Archaeologists have found murals of paintings in the tombs of the Ancient Egyptians such as the one pictured found in the tomb of Beni Hasan (2000 BC), detailing wrestling techniques. 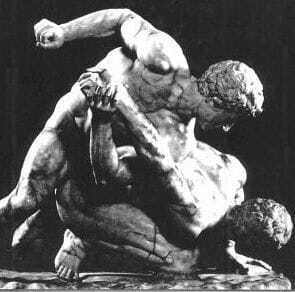 In ancient Greece formed the art of Pankration, also known as Pancrase under Roman rule. There were no rules and a lot of fights ended in death. An interesting story from these times was that of Arrhichion of Phigalia in 564 B.C. Arrhichion was caught in a strangle hold by his opponent and in a struggle to escape managed to grip his opponent's ankle and break it underneath him forcing his opponent to submit giving Arrhichion the victory. The twist to the story is that Arrhichion died from strangulation and is known as the only ever Olympic champion to have won by dying. It is rumoured that his opponent committed suicide shortly after as he never had the chance to rematch, this fight is depicted in the statue pictured. These humble beginnings saw the western world develop the sports of Boxing, Kickboxing and forms of wrestling such as Greco-Roman and Catch Wrestling. As East met West, the birth of new systems such as Bartitsu (England), Savate (France), Swordsmanship (Italy), Sambo and Systema (Russia), Krav Maga (Israel), Jeet Kune Do, Small Circle Jujitsu and Military Corp MA Program (USA), Kajukenbo (Hawaii), Brazilian Jiu Jitsu and Capoeira (Brazil) and many more continue to evolve. As the martial arts became practiced by different cultures, so did the evolution of new movements occur resulting in varied techniques. Japanese people used linear movements as seen in the basic forms of Karate, Kendo and Judo, Chinese use alot of exaggerated circles as seen in Wing Chun Kung Fu. Koreans tend to move more like a circular wave as seen in their folk dancing and martial arts like Taekwondo and Hapkido. When these martial arts were introduced to the western world alot of the movements were substituted by the way westerners naturally moved. Different cultures produce different movements, ultimately leading to new evolution in martial art techniques. Although there are many styles of martial arts today, the techniques found in all the arts are very similar if not the same, what differs are the philosophies which determine the arts range of techniques, the application of the techniques and the art's cultural heritage. From the late 1800's to 1945, Korea was involved in conflict with China and Japan. During this period, many Koreans learned extensively about martial arts being practiced in these countries. In 1910, Japan annexed Korea, abolished the Korean monarchy and outlawed all Korean martial arts. During this time, many Koreans studied Japanese Jujitsu, Karate, Judo, Kendo as well as Chinese Kung Fu while continuing to practice native Korean martial arts in secret. Korean monasteries in the mountains played an important role in preserving many of the native arts. Pictured are GIANT Instructors with a group visiting a South Korean temple in 2008. Post World War II, when Korea was free of Japanese dictatorship, many Koreans who had learnt Japanese and Chinese martial arts studied the Muye Dobo Tongji to rediscover their heritage and recreate the link to Korean martial arts. "the perfect self defence art where you avoid being cut, hit or kicked while at the same time you don't hit, kick or cut. As the attack comes you handle it expediently using the power of your opponent, so even women and children can practice these techniques" (Tokyo Asahi Newspaper, 1930). 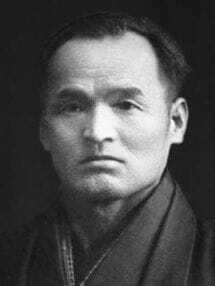 Sokaku Takeda although a small man, about 4'11 was quite feared by his students and his reputation even influenced US President Theodore Roosevelt. Sadly, as Japan lost the war, Takeda committed suicide. It is believed that the roots of Daito-Ryu were originally transmitted to Japan by Buddhist Korean Monks of the Paekche kingdom. The Monks had fled Korea to escape the advancing Silla kingdom during the sixth century and set up colonies in Japan, spreading Buddhism as well as their martial arts. 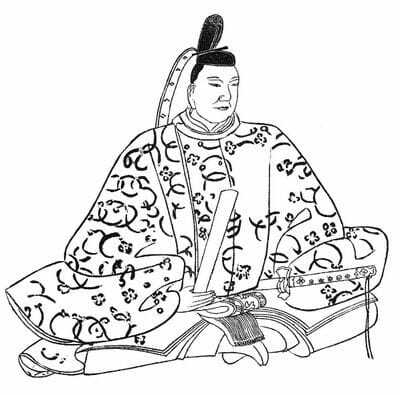 These roots were then reinterpreted to suit Japanese culture by Prince Teijin of the imperial palace in the eight century. Around the year 1080 Samurai Minamoto Yoshimitsu began the scrolls of Daito-Ryu. 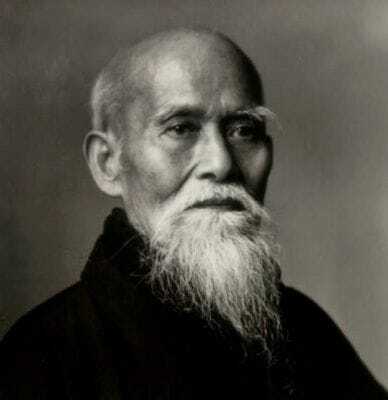 Modern Japanese arts such as Judo, Kenpo, Iaido and Aikido have their roots in Daito-Ryu Aiki-Jujitsu, pictured right Morihei Ueshiba (founder of Aikido) was a direct student of Takeda for 5 years. Choi, Yong Sul displayed a fascination for the murals of battles and paintings of famous martial arts scenes displayed throughout Kintaro's temple. It was obvious what direction he wanted his life to take. Therefore Kintaro arranged for Grandmaster Takeda to adopt Yong around the age of 11. He was given a Japanese name Asao Yoshida and trained under Takeda for the next thirty years until Takeda's death in 1943. In 1945, World War II ended and Korea regained its independence. Choi, Yong Sul returned to Korea shortly after the end of the war, settling in Daegu and began teaching his art he called Yu Sul (soft art). Even though he had studied the art of Daito-Ryu Aiki-Jujitsu, he called the art Yusul to make it more compatible to Koreans. Yong shortly changed the name to Yu Kwon Sul (soft fist art) to distinguish it from Judo pronounced "Yudo" in Korean and opened his first dojang called the Hapki Yu Kwon Sul (soft fist art of co-ordinated power) in 1951. Not wanting the name to be too long, Choi, Yong Sul shortened it to Hapkido (way of co-ordinated power) in 1958. One of Choi's leading students, Ji, Han Jae disputes this and claims to have coined the name Hapkido, nevertheless Choi, Yong Sul is credited as the art's Dojunim (founder). 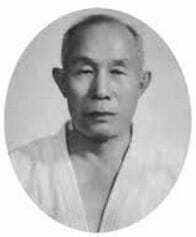 At the time of Takeda's death in 1943, Dojunim Choi made a sacred trust with his master that he would continue to teach the purest form of Daito Ryu which he had learnt from Takeda. The basic techniques of Daito-Ryu Aiki-Jujitsu are in the form of large circles as seen in the Daito-Ryu and its derivative Aikido in Japan today. As the practitioner gets better after years of training the circles get smaller and the effect on the person you are working on becomes greater with less motion. The motions become so small that when performed it is very hard to notice what had just happened. This higher connection of understanding can only be developed with years or even decades of practice which is what Dojunim Choi took back with him to Korea. Large circle technique seen in Hapkido can only be the result of a teacher with not enough experience or seen in demonstration as larger circles give a flamboyant impression of the art to the general public. Dojunim Choi, Yong Sul died in 1986 at age 81. His unique contribution to Martial Arts has impacted globally resulting in thousands of practitioners visiting his grave in Daegu every year. 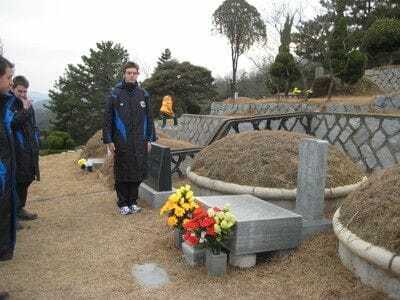 Pictured below is GIANT instructor Anthony & Giorgio Repice paying tribute at the grave site in 2009. A father of four, dedicated to family values and a passion for teaching martial arts, his legacy will live forever. 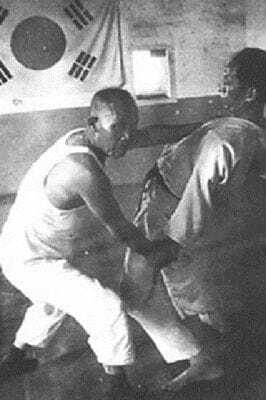 Choi, Yong-Sul visited America in 1982 to attempt a unity of Hapkido in the USA. The video below is a short 1982 tribute with the only known footage of the Founder, he is training with Grandmaster Lim, Hyun Soo of the Jung Ki Kwan, who was his longest serving student of 19 years, the footage is quite old however you can just make out some of the techniques they are practicing. In the interview, he speaks of disappointment to see a lack of loyalty in the Hapkido community in the USA as many black belts would leave their masters and start their own schools prematurely. Only known footage of Choi Yong Sul teaching in the USA 1982. Between the time Choi, Yong Sul taught his first lesson in 1948, through to the early 1960's and continuing today, the Hapkido curriculum has gone through periods of innovation which keep it evolving as a modern system. It is clear that the techniques of Choi, Yong Sul make up the larger framework of techniques and ultimately the philosophy of the Hapkido curriculum with some 3808 techniques set from the founder's teachings. However, in addition to Daito-Ryu Aiki-Jujitsu that Choi, Yong Sul brought from Japan, it is also clear that additional striking techniques were influenced by native Korean art such as Taekkyon. These innovations are credited to Dojunim Choi's early students. Choi's most prominent early students are pictured. Suh, Buk Sub first noticed Choi at his father's brewery. Suh witnessed a fight breaking out and watched Choi defend himself against a group of men with little effort (bear in mind that Choi, Yong Sul was in his early 40's at this event). He immediately wanted to learn from Choi and became his first student, the very next day they had their first lesson on Sunday, February 22nd 1948. Suh was in his early 20's and was already a black belt in Judo. Suh came from a wealthy and politically active family, they initially employed Choi as their bodyguard and later in 1951 assisted Choi in opening his first dojang. Ji, Han Jae and Kim, Moo Hong, previous to Hapkido had studied many native Korean arts such as Taekkyon and contributed additional kicking innovations. Kim, Moo Hong was promoted to Black Belt by Suh, Buk Sub before he left to live in isolation in a monastery where he spent years perfecting his kicking techniques. He then travelled to Seoul in 1961 and finalised the kicking curriculum with Ji, Han Jae. 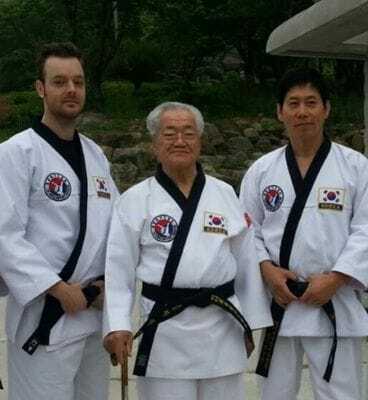 Ji, Han Jae (pictured with GIANT Instructor Anthony and Grandmaster Ryoo) is a prominent pioneer of Hapkido, together with his physical skill, technical contribution, promotional efforts and political connections he is credited with popularising Hapkido through North America and Europe. He was the personal bodyguard to South Korean President Park Chung Hee (1962-1979) and has taught many Korean and US government and private law enforcement organisations including the US Military Special Forces, FBI and CIA. He also worked extensively in Hong Kong and Hollywood cinema as a trainer/actor and fight choreographer. He had appearances in the Fist of Unicorn 1972, Lady Kung Fu 1972 and co-starred with Bruce Lee in his last feature film - The Game of Death 1978. 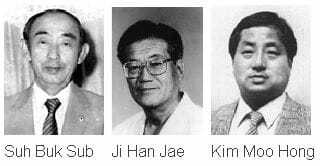 Ji, Han Jae was also an administrative force in forming the Korea Hapkido Federation in 1965 which has grown to become the largest federation in the world and is accredited by the South Korean government. The Korea Hapkido Federation sets the highest standards for Hapkido throughout the world. In 1980 Oh, Sei Lim (pictured, defending an armbar) was elected president of the Korea Hapkido Federation and under his direction the KHF has continued to flourish. 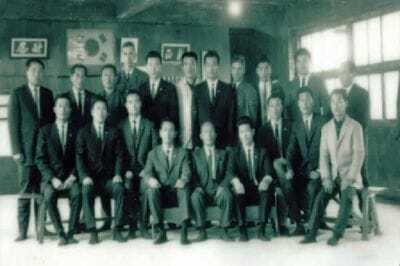 To the Left is a photo of the original Korea Hapkido Federation committee in 1965 with Choi, Yong Sul and Ji Han Jae in the front row. From these dedicated innovators, thousands of notable Hapkido practitioners have surfaced who have spread this art around the world, teaching the general public, police force, military and revolutionising martial arts in Hollywood and Hong Kong cinema. Grandmaster Hwang, In Shik in particular trained many masters and celebrities such as Jackie Chan (Hapkido 1st Dan) and Angela Mao (Hapkido 3rd Dan). He also had appearances in Way of the Dragon 1972, The Young Master 1980 and Dragon Lord 1982. Angela Mao starred in many films including the legendary Enter The Dragon 1973 with Bruce Lee. GIANT Instructors Giorgio and Anthony with a team at the KHF HQ, 2009. Grandmaster Han, Bong Soo alongside his training of Korean and US special forces in Vietnam was a choreographer and actor in the US hit series Billy Jack 1973-77. 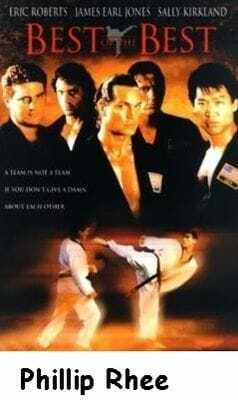 Hapkido practitioner Phillip Rhee starred in the Best of the Best Series 1989-98. Jino Kang (Hapkido 7th Dan) starred in the famous Blade Warrior 1991 and Fist 2 Fist 2011. NFL star and Hapkidoist Brian Boswoth was made famous in The Longest Yard 2005. MACI Master Kim, Young Kil appeared in Stealth 2005, and many more have contributed to Hong Kong and Hollywood cinema as Actors, Trainers, Fight Choreographers and Technical Advisors. 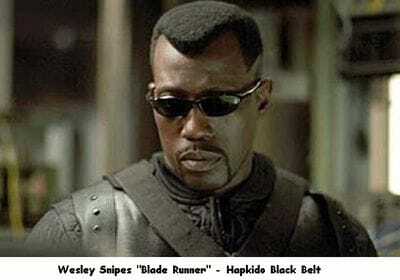 Wesley Snipes also holds a Black Belt in Hapkido. The innovation of Hapkido makes it an eclectic martial art of extreme diversity with thousands of variations in technique that led to influencing new systems such as Kuk Sul Won (1950's), Hwarang Do (1960's), Tukong Musul (1970's), Han Kido (1980's), Han Mudo (1980's), Gongkwon Yusul (1990's), Yong Mudo (1990's) and Hapki Yusul (2000). The technical nature of Hapkido has led to it being harder to unify which will retain it indefinitely as a progressive and complete self defence system. From the late 1960s to early 1990s, Grandmaster Park, Jong Kwan operated a Hapkido dojang of the "Hak Moo Kwan" in Incheon, South Korea. Our Grandmaster Ryoo, Young Seol began training with him in 1979 after some years training in Taekwondo. Ryoo continued to train with master Park along with other styles for the next 20 years until he established a dream to teach martial arts in Australia in 1999. Today that dream is The Martial Arts College International. Now a Grandmaster Ryoo, he is quite the innovative practitioner, always keeping an open mind to new and improved ways to better his skills and the skills of his students. Our Great Grandmaster Park still resides in Incheon City where he continues to practice Hapkido, has achieved 8th Degree and owns a Chiropractic Clinic. Today Hapkido is practiced in many countries and continues to expand. The art's dynamic appearance has impacted Hollywood and Hong Kong cinema and its devastating effectiveness influences law enforcement and military training as well as self defence to the general public throughout the world. Hapkido by nature has always been open to evolution and change well rounding the skills which makes the art good for self defence. Yet, change is inevitable and the evolution process will continue. Just as ancient warriors adapted weaponry and empty hand techniques, so this evolution continues today as we witness many martial art systems moving toward common ground. mainly due to the growth of the sport of Mixed Martial Arts (MMA) since the 1990's. Innovating techniques from multiple styles was eloquently stated in the 1970's by the famous Chinese Actor Bruce Lee when he said "the best martial artist is not a boxer, karateka, judoka or wrestler, but one who has the ability to adapt to any style of technique". From his background in Wing Chun Kung Fu and cross training in many other styles including Hapkido he designed the eclectic system of Jeet Kune Do. In the 1980's Japanese Sensei Azuma Takashi was a well-rounded Judoka and Karateka who forged the two arts to create the mixed martial art of "Kudo" and began to employ the techniques of both original styles (striking, throwing and grappling) into one discipline. 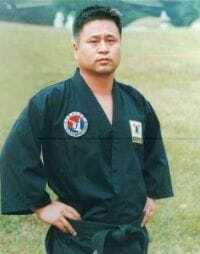 In the 1990's South Korean Grandmaster Kang Jun whom trained in multiple disciplines such as Hakko Ryu Jujitsu, Judo, Hapkido, Taekwondo, Gumdo and Kickboxing focused on a Korean MMA system and coined it Gongkwon Yusul (GKYS). Kang Jun, like Jigoro Kano has created a unique MMA system that is safe to practice at full power and speed. One tactical achievement of GKYS is the incorporation of Hapkido style standing joint locking techniques into sparring which was exceptional for its time. Both GIANT Instructors Giorgio and Anthony Repice are black belts in GKYS and evolved their Hapkido. The art of Kickboxing in the 1970s led to the birth of Shoot Fighting (1980's) together the art of Brazilian Jiu-Jitsu leading to the Pride Fighting Championships (1990's) in Japan the Ultimate Fighting Championship (UFC) in the USA (1993), coupled with the internet explosion and YouTube solidified the education of mixed martial arts around the world. The education of martial arts on this entire page can be quite useful in your journey. We trust that by reading up on some of the many great personalities involved in the lineage of GIANT martial arts you can look to create your own path as a student to eventually being an instructor or competitor or master of your destiny. As a student of GIANT Martial Arts you can be assured to learn a wealth of well-rounded skills that you need to appreciate the ever changing world of martial arts. Understanding these historical foundations and all the information on this page is a key to success in your martial arts journey.